Beautiful tactile feeling to the shot, Lovely blanket you are making.. wow! Terrific shot of the woven textures! You are a very skilled, not to mention patient, weaver - :)! 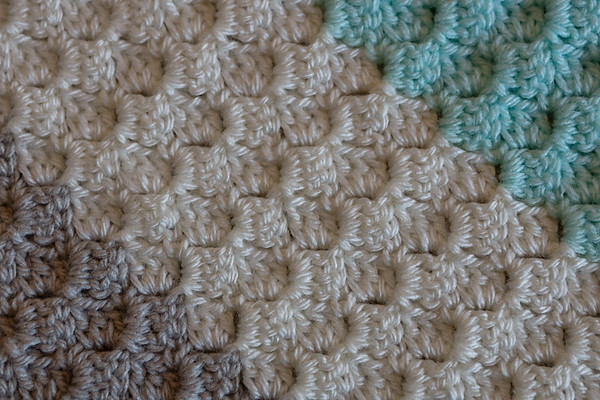 Lovely macro showing the lovely weave in your blanket! It is going to be beautiful! That's amazing texture. I used to love to crochet, but it's hard to find the time now. Lovely work. You are clearly a highly skilled crocheter. This fragment of it makes a great abstract.